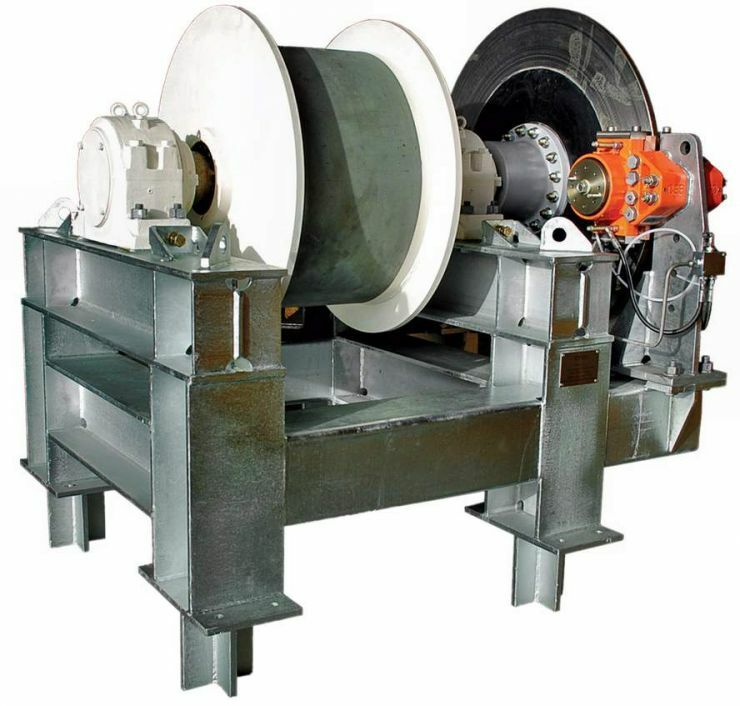 Designed and manufactured for operation between take up trolleys and counterweights of mine long wall product transfer conveyors. 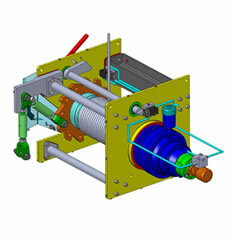 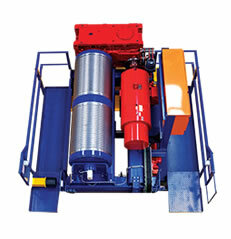 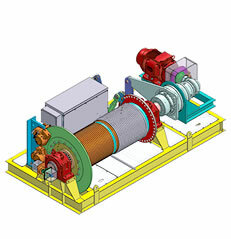 Pulling winch fit for pulling one rope in stringing operations of overhead transmission lines and underground cable installations, hydraulically powered by electric motor. 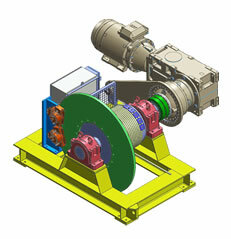 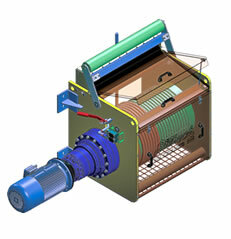 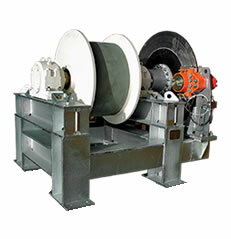 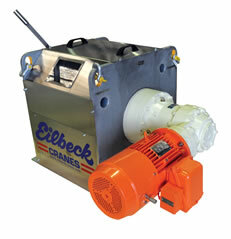 This winch develops its maximum pulling force through a dual head multi grooves capstans. 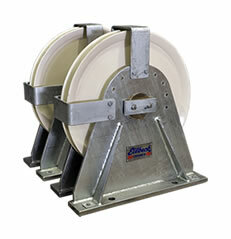 Mounted on a sturdy wheeled framework, with rigid axle.